In this DevOps Chat, we catch up with Chris Lazzaro and Peter Klenk of IBM Bluemix and Bluemix Garage. With IBM InterConnect just a month or so away, it is a good time to hear what those innovative Bluemix folks are up to. Peter and Chris give us their take on new IBM Bluemix services, as well as the continuing evolution of IBM Bluemix Garage and the Bluemix Garage method. I will be chairing a panel at InterConnect too by the way called: DevOps, It Takes a Village. If you are going to InterConnect come say hi! As usual below is the streaming audio player, followed by the transcript. Alan Shimel: Hey, everyone, Alan Shimel, DevOps.com, here for another DevOps Chat. I’m happy to have two people as our guests on this edition of DevOps Chat. I’m joined by two friends of mine from IBM, Chris Lazzaro and Peter Klenk. Peter, Chris, welcome to DevOps Chat. Peter Klenk: Thanks a lot, Alan, glad to be here. Alan Shimel: Okay. Peter, why don’t we start off by just giving our audience a little bit of background on your position and who you are at IBM? Peter Klenk: Sure. I’ve been at IBM a while doing a lot of various type things, but as we try to become a cloud company I’ve become the product manager for pretty much everything DevOps in the cloud, so how we promote working, the kinds of tools we’re offering in the cloud and so on. Alan Shimel: And, Chris, how about you? Chris Lazzaro: I’m Chris Lazzaro. I’m the lead architect for the Bluemix Garage Method. The Garage Method is where we try to teach customers how to be successful in the cloud, adopting best practices for DevOps and really act like a startup. Alan Shimel: With scale like in enterprise. Chris Lazzaro: Yep, and meet those enterprise demands. I must admit I was somewhat blown away because everything I’ve seen says while most or the overwhelming majority of organizations have some infrastructure in the cloud, it’s a relatively small amount of their total infrastructure and the greater migration is certainly ahead of us. Peter, you are DevOps in the cloud. What are you seeing? Is that true, not true? Peter Klenk: The reality is I think most enterprises have been experimenting in the cloud, doing pilots, doing some innovation projects, but the bulk of the workload in the world is still running in a more traditional infrastructure. We still talk to a lot of mainframe clients. We talk to certainly a lot of on-prem datacenter clients. There are kind of two things going on. Getting to the cloud is part of it, but I think the bigger question they ask is: how do we get more efficient, more developer productivity, more team productivity, more essentially rapid innovation, reduce the time to feedback from our clients, so that the systems we’re building stay relevant and don’t get disrupted by all these kind of born on the cloud enterprises, which we see popping up in every industry, like in entertainment, you name it? Alan Shimel: CRISPR, you’ve got it – trying to transplant some of that DNA into these enterprises. That’s what you guys spend a lot of your time on. Chris Lazzaro: We are trying to bring that rate of innovation that’s possible in the born on the cloud kind of startups, and then teach everyone how to utilize the cloud in order to get those innovative ideas that are out there as quick as possible, and reduce those barriers from going from idea to production. 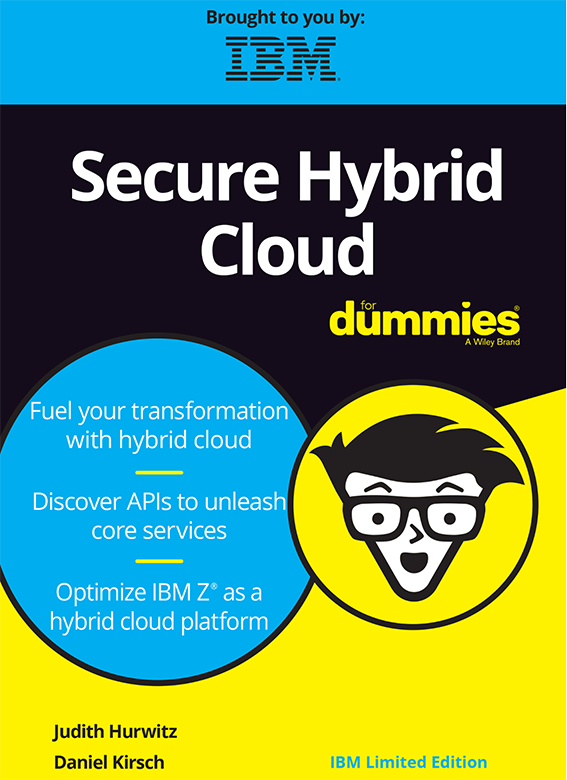 But like you said, there are a lot of enterprises out there where the backend systems of record are mainframes or just data that simply won’t ever be able to move to the cloud, and that’s why hybrid cloud is so important. Some of these new technologies like IOT and cognitive, you can start experimenting with those and still connect them back to your on-premise infrastructure. Alan Shimel: Yeah. You know what? Certainly IBM is going to be the last company that tells you, “You should move off your mainframe.” But you’re right. People aren’t going to move off their mainframe, but that doesn’t mean there are some things that remain on your enterprise mainframe system and some things that are better off in the cloud, and you do have this sort of hybrid, not one-size-fits-all, and you do what’s best for that individual need. Sometimes it is staying back in the datacenter. Sometimes it’s moving up to the cloud. Peter, I think you hit it on the head in saying it’s all about improving productivity. If it feels good and if it’s better for the company, then do it – to paraphrase a 1960s thing. Of course, gentlemen, this is a big part of the whole Bluemix – not Bluemix Garage Method, but the Bluemix platform in general in the cloud. Correct, Peter? And that is to make developers or make developing more productive and more efficient. Fair enough? Peter Klenk: Yeah, fair enough. I think what Bluemix is has changed since we launched it a couple years ago. I think maybe this is just indicative of what’s happening in the cloud in general, but we started talking about very specific runtime environments and you’re going to run workload on the cloud. It certainly is that and Bluemix has infrastructure. It has cloud foundry. It has containers. It has a serverless programming model called OpenWhisk. 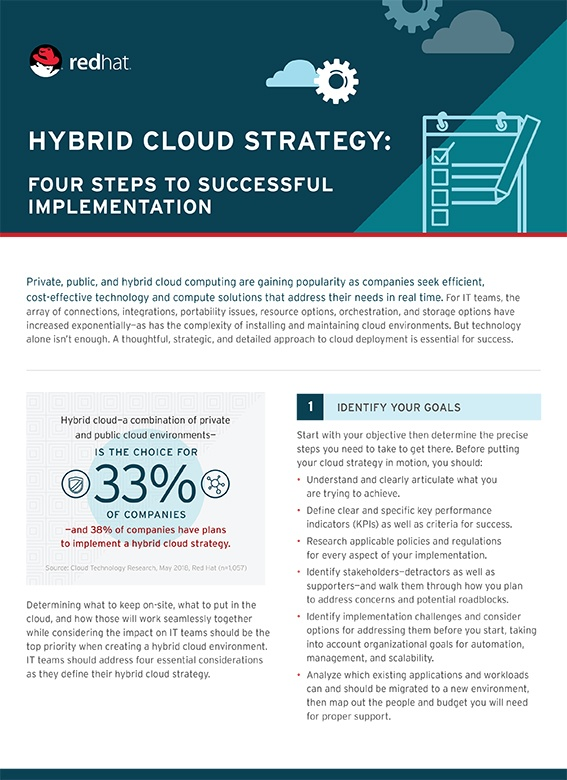 There are plenty of ways to run your workload in the cloud. But it’s also this catalog of services you can use in your application. How is that related to developer productivity? Well, no one is going to build a NoSQL database or a natural language processor or a cognitive sentiment analysis or any of these types of frameworks on their own anymore. You’re going to use services, and that’s a big part of what the platform is, is this rich catalog of services. It gives you a leg up in building the application for your domain, leveraging new direction models, cognitive models, IOT-type sensors and feedback systems. Alan Shimel: I think it’s even more than that, Peter. You mentioned NoSQL. No one wants to stand their NoSQL up themselves, their NoSQL infrastructure up themselves. And certainly what we’ve seen with Mongo recently around security issues, it’s nice to know that you have an IBM, right, and everything they bring in the way of security, standing behind your Mongo service that IBM has stood up for you. I think that’s a big part of it. Who can afford to really do it right? Peter Klenk: I think that’s something we bring to the table. If you look at our catalog, we’ve got open source-based things. We have third-party things. We have IBM homegrown things, like the whole Watson set of cognitive services. But with them all comes – you know, it’s a foundation of scale and security and global distribution with points of presence around the world, but you need an IBM-scale kind of partner to deliver. Alan Shimel: I’m sorry; go ahead. Chris Lazzaro: It’s that ability to get a small application or a minimum viable product up and running very, very quickly using a platform as a service or a cloud, but then being able to scale it as required and to add those DevOps tools, the management and monitoring tools or deploy it across multiple datacenters with multiple instances. So the complexity can grow as you start gaining customers and being successful with your app. Alan Shimel: You anticipated my question. That was exactly it. Really, that is sort of – because when you look at how most startups operate, they don’t create to scale immediately. It’s not build it and they come. They build it small and as they come they kind of build it bigger. I come from that world I should add. I spent 25 years in that world. It just seems to me to be a no-brainer to say, “Geez, if I can partner with someone who can bring me that instant scalability, and not just the cloud infrastructure as a service, but the whole kind of scalability that a Bluemix brings to me, just from a DevOps perspective that just has to make things much easier.” But it’s much more appealing and it’s probably much more economical. Peter Klenk: Yeah, agreed, and you got to the DevOps point, which is to me is part of that whole cloud picture. It’s the platforms, the services, but it’s also the way of working, which is what the Bluemix Garage Method is all about. Chris can elaborate on that, but it’s meant to be a set of practices that teams will adopt, potentially incrementally. It’s not everything will apply to everyone out of the gate, but it’s kind of the foundation of how effective DevOps teams work. Then we back that up with a set of tools that represent the kinds of tools that support those practices. Similarly, everyone needs a place to store to their code, and a way to build it and push it onto a runtime on a platform like Bluemix. But, let’s face it; most of the world has on-prem stuff. They might be dabbling in other clouds. So it’s really deployed multiple places often. And for that little startup mentality maybe that’s all you have, but as you grow you’re going to want to add different kinds of testing. You’re going to want to move the code through more environments, to expose it to different kinds of scenarios around performance and scale and security and vulnerabilities. You’re going to want to probably have more rigorous change management policies about what gets allowed into production with what level of review. So when we build out the DevOps offering, we’re providing point tools. We’re partnering with point tools. But we’re really focused on how they integrate together and how they can be simple for the teams that really are just starting out, the kind of – I won’t even say two pizza teams. I’ll say the one pizza teams – but then grow up with those teams and then with those whole organizations, where now they’re deploying multiple apps across multiple runtime environments, multiple clouds, and manage the rigor and complexity that comes along with that. Alan Shimel: Agree. Guys, as often happens here, our time starts getting ahead of us or behind us, but I wanted to come back to there is some new news around continuous delivery on Bluemix. I don’t know. Peter, are you the better person to share with our audience or is that a Chris thing? Chris Lazzaro: Well let me set the context first and then I’ll hand it off to Peter. Chris Lazzaro: There’s two really key points. One is as we look at DevOps methods and help people define that, IBM’s definition really starts with idea. It’s everything from going from idea to production and then managing and scaling that up. So we start off with design thinking, and that’s really important to really get that into your DevOps process. From there it’s all about reducing the barriers of bringing that idea into production, and you want to get rid of all the barriers and friction points. You need not just a platform that can support you, but also a set of tools that enable continuous delivery, so that your developers are curating and getting that right out into production. That’s where the continuous delivery service really helps. Peter, do you want to talk about that? Peter Klenk: Sure. We just announced at the end of last year a new service in the Bluemix catalog called Continuous Delivery. It focuses on a few things. One is the continuous integration, continuous delivery pipeline. But another is managing the set of tools and the integrations that a team is going to need to do the whole job around software delivery. One thing we find in the enterprise is that it’s easy for a couple of folks to go off and start downloading a bunch of different tools, and getting them to run somewhere and use them like in their little project because maybe they’re motivated to try new stuff, but to then scale the successful patterns across the enterprise is really hard. Not everyone is as motivated. Not everyone wants to do the research to figure out what’s going to work in their environment. So in addition to that continuous integration, continuous delivery pipeline, we have this first-class concept called Toolchains that can be captured in templates, so that you can easily provision new teams onto, say, a source repository on an agile plan or an issue tracker and CI/CD patterns that have the right kinds of jobs and environments in them, to give you a way to just quickly bring new teams into this modern world of tools and practices. Alan Shimel: CI pipelines, sure. Peter, if someone is interested in kind of toying, messing, experimenting with Bluemix continuous delivery, do you have to be on Bluemix to do it? Does it have to be on public cloud? Where could they get more information on that? Peter Klenk: They can start reading about it at Bluemix.net/devops. If you have a Bluemix account, you have everything you need to get started. If you don’t, that’s something you can easily create, no monetary commitment. The service right now is free. I imagine it will remain free for small teams that just want to start trying it out. So it is running in the public cloud. We do have something called Bluemix Dedicated, which is a single tenant instance of Bluemix for certain enterprises that want that, and the service is also available there. Alan Shimel: So private cloud, is that not in style anymore, Peter? Peter Klenk: Yeah. The key point here is it’s a single tenant instance, but it’s the full Bluemix stack. So our service is available that way as well. But for tire kickers, go to the public cloud, Bluemix.net/devops. If you’re not quite ready for that, Chris, Garage Method. How do you get started over there? Alan Shimel: We’re going to come back to that in a second, before I lose my train of thought, because it doesn’t take me much. Peter, you mentioned the toolchain aspect of Bluemix and the continuous delivery in the stuff you’re putting together. If someone is experimenting or testing the Bluemix continuous delivery, can they add other tools to the toolchain, sort of maybe do a custom integration? Peter Klenk: They can. The pipeline is highly customizable through scripting. There is a set of integrations, the third-party tools available, kind of no box because it’s on the cloud, but virtually out-of-the-box. And certainly then in the applications they’re building, they certainly have access to all the other services in Bluemix as well. So there is some cool stuff. Alan Shimel: Got it. Chris, let me come back to you. We mentioned Watson earlier. I remember last year at InterConnect I was kind of blown away when I realized Watson was going to be on Bluemix. With APIs anyone can hook into Watson. I met some lady who in no time created a custom dating site where Watson was picking your dates for you. I mean I’m married, it didn’t me any good, but it was still an interesting concept. But, Chris, when we talk about this Bluemix continuous delivery, does it work with Watson and some of the other services? And is that something we can do with the Garage Method and so forth or no? Chris Lazzaro: The continuous delivery pipeline can definitely work and deploy cognitive or Watson applications. We’ve got a number of examples of those on the Garage Method site. So if you just Google Bluemix Garage Method you’ll get there. What’s really neat is that with these toolings and this platform, you can deploy an application that’s making use of the giant Watson cognitive capabilities and then easily tie in your logic to that. So you just plug into Watson as if it was a regular service. Chris Lazzaro: So we’ve got those courses out there that walk you through it. The other place to get started would be at InterConnect this year. We’ll be having a lot of workshops and training and sessions at the InterConnect conference. Alan Shimel: Let’s talk a little bit about InterConnect. Of course it’s coming up. It’s moved back a little bit this year. I believe it’s in – is it late March now or April? Alan Shimel: Peter or Chris, you don’t have the exact dates, do you? Alan Shimel: I know the 22nd is a Wednesday and that was a big thing. I’m speaking there as a matter of fact. I just got all my speaker kit stuff today. Peter Klenk: The 19th through the 23rd at Mandalay Bay in Las Vegas. Alan Shimel: Yes. Guys, we might as well end things off then with an InterConnect question. What are you most looking forward to this year at InterConnect? Chris Lazzaro: I always love the expo floor and being able to talk directly with the clients and get that feedback and just see the cool things that are being developed. The other session or workshop actually that I’m looking forward to is the one around the method, where attendees will actually – by the end of the workshop they’ll have applications up and running in Bluemix that cover all the phases. So they’ll have the tooling plugged in for managing the app and the continuous delivery tools as well. Alan Shimel: Got it. Peter, what about me? Peter Klenk: For me it’s feedback. Last year at InterConnect we were certainly talking about the method and different tooling approaches and we had some previews, but it’s different now that we have our service out there in the Bluemix catalog with real users doing real applications and solving real problems. So I just want to hear from them and also hear some more perspectives from clients and other companies in the business about the trends they’re seeing. We’re going to have a couple good panels with some of the other DevOps companies. So that and then clients talking about the kinds of apps they’re building on the cloud is always fascinating. Alan Shimel: I always enjoy talking to clients as well at InterConnect. It’s great stuff. And I will just mention that if you really want to sit in on a great session, there is one called “DevOps: It Takes a Village.” I’ll be hosting that one. I want to say it’s Wednesday at 9:00 AM at Mandalay Bay, but I’ll put more on that at DevOps.com in the near future. Just a little personal plug guys. I’m sorry. Alan Shimel: Shameless on me. Anyway, guys, I look forward to seeing you both at InterConnect. We’re actually going to probably have some DevOps.com surprises there in terms of our coverage. So maybe we’ll get a chance to sit down and chat. But for now, Chris Lazzaro, Peter Klenk, thanks so much for being our guests on this episode of DevOps Chats, and we’ll see you in two months or so out in Vegas hopefully. Chris Lazzaro: Sounds good. We’ll see you there. Peter Klenk: Always a pleasure. Alan Shimel: Okay. Chris Lazzaro, IBM Bluemix Garage Method, and Peter Klenk, IBM Bluemix and Cloud Services for DevOps, thanks for appearing on DevOps Chats. This is Alan Shimel of DevOps.com hoping to see you on another DevOps Chat.